Dance Etc. - Spring Showcases - Dance Etc. Before you order your costume, please make sure that you have the following important dates on your calendar. You are in Show # 1 which begins promptly at 12:00 noon. Arrive at 11:45 am dressed and ready to dance. NO videotaping or flash photography at this performance. Tickets are required for admission. 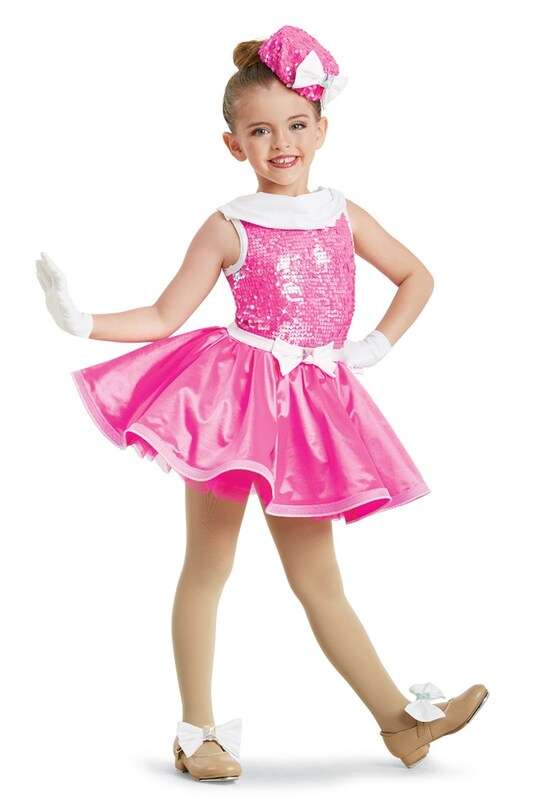 Class will be wearing pink tights and pink ballet shoes with this costume. Hairstyle will be a bun with no bangs. To order your child's costume, please go to www.TheCostumeFairy.net and enter the password DE45150. Order your costume by November 1, 2019 to get the get the $10 early bird discount. Order your costume by December 3, 2019 to ensure the costume arrives in time for picture day. © 1996 - 2018 Dance Etc. All Rights Reserved.